The Makita 18v Drill Is Worth Every Penny. Here’s Why. Here’s Why The Makita 18v Drill Is Worth Every Penny. We’ll try to cover everything here that you need to decide if the Makita 18v drill (BHP 452) is the right drill for you. After all, a cordless drill is a standard tool that should be in everybody’s tool box and with the technology available these days, a cordless drill can have almost as much power as a corded model. Also, with a spare battery waiting on the charger (most of the time, you will get a spare battery when you purchase a tool “kit”), your run time can be plenty long enough for a full work day. You get all this with the convenience of complete portability in a very light tool. 3x more charging cycles combined with the lower self discharge gives you 430% longer lifetime work. That means that a battery may cost $100 but it gives you more usable life than a battery that costs $25. Now THAT’S an investment. 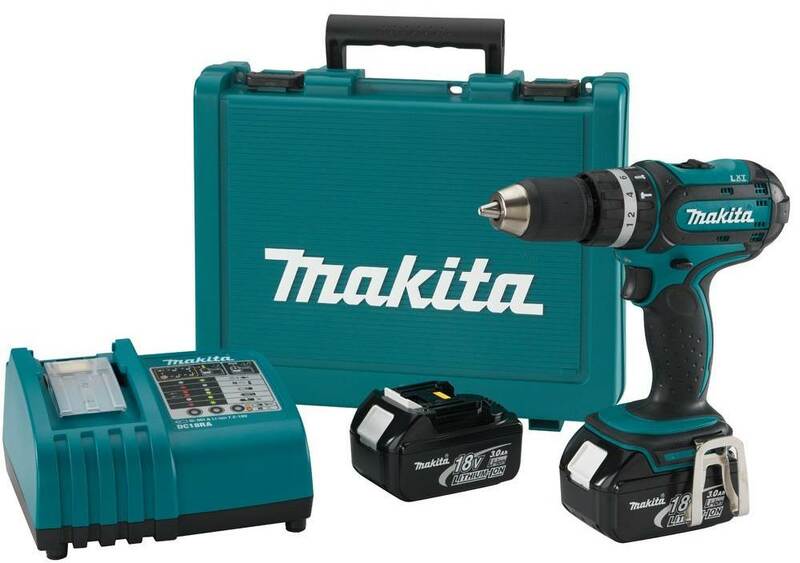 All Makita cordless drills come with a charger (except bare tools) and the Makita 18v drill is no different. 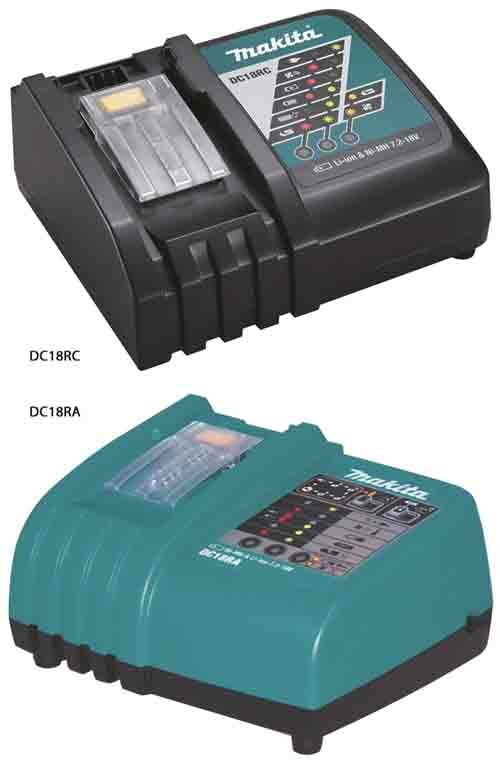 Makitas intelligent computer controlled battery chargers have probably done as much to advance the usability of cordless drills as the battery technology itself. Power doesn’t just come from nowhere. When you have a 3 amp/hour battery that provides all the torque you need for the length of time that it does, and you want the battery to last and not get burned out. You have to get that power in there somehow and Makitas chargers do it in 30 minutes by communicating with the computer chip that is inside the battery itself during charging. It does this by controlling current, voltage and the temperature with a built in cooling fan. There is a 3 year warranty on the tool and a 1 year warranty on the battery and charger. I’ll be doing a review on the DC18RA charger a little later. My first experience with Makita cordless drills was while engineering and assembling the pneumatic system on an industrial food dehydrating tool. 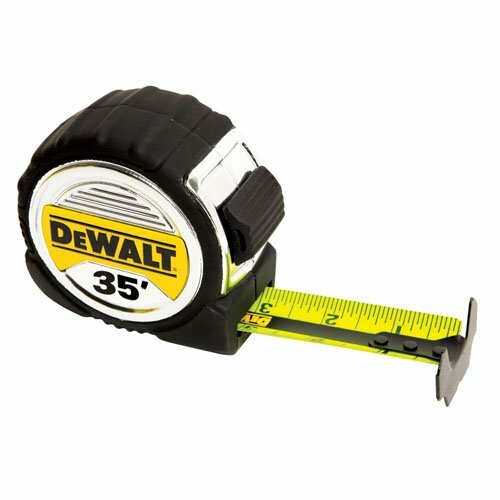 My previous experience had been mostly with DeWalt tools and was amazed at the light weight, power and usable work time of the Makita cordless tools. In hindsight I should have gotten the LXT601 kit with the circular saw. I don’t need the grinder necessarily but I couldn’t find all the other components together and still get the reciprocating saw and the circular saw together. 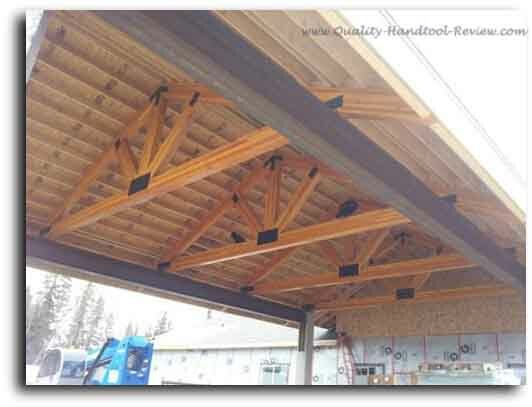 On this project I was doing some pretty standard electrical work building an assisted living home. Putting in light fixtures, recepticals, wiring panels, etc. 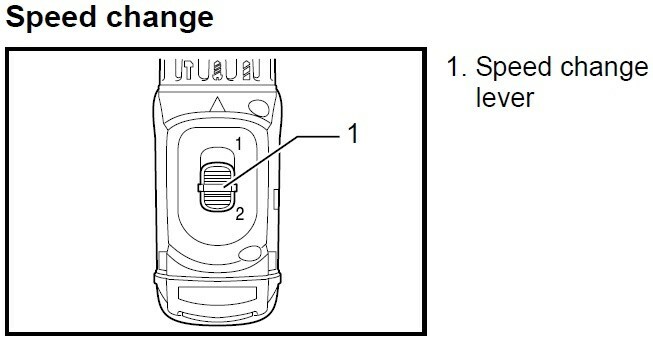 I would set the action mode changing ring (1) to screw driving and the clutch graduation (3) to about 1-3 and run yoke and fixture mounting screws, tek screws and the like for most of the day. The LXT407 kit comes with two batteries so keeping one on the charger while you're working easily gives you a full day of power. With a fast thirty minute charge time, you should have no trouble keeping a full battery charge. But if you do find yourself using multiple tools in a day and sucking a lot of battery out of them, keeping a third BL1830 on hand is worth the investment. After all, if you have down time for waiting on batteries, you're not making money. 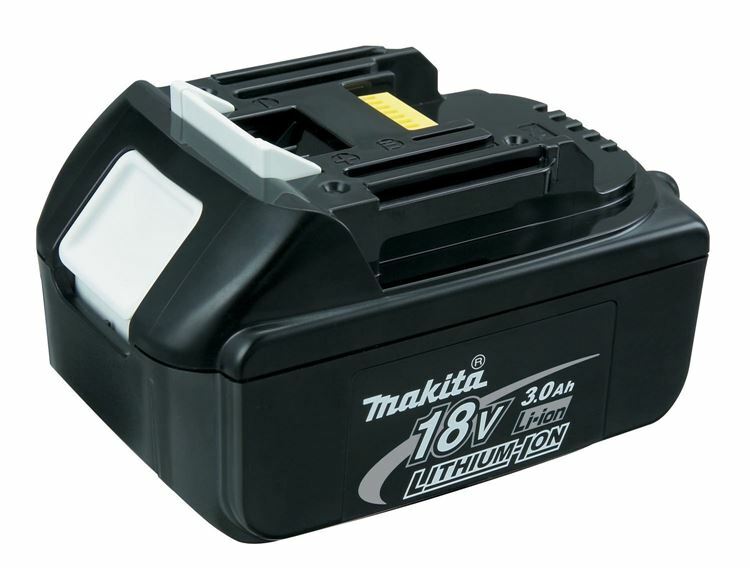 Amazon has most Makita 18v drill batteries. The three amp/hour goes for around $100 with shipping (03/14). Yes, that sounds like a lot, but it's something that will make you money and should last several years. That's what you call an investment. So It Handles The Little Stuff All Day, How's It Do With The Heavy Duty Stuff? Deep down inside I'm a basically lazy person I think. I'd rather not lug a bunch of different tools around and I don't like to change tools once I start rolling. So when I climbed up a rather sketchy scaffold to install a bunch of can lights in a covered loading foyer, I wanted one drill to do the job. I used 2 1/2" wood screws into 2 x 12s to hang the lights. The drill could sink them all day long. But then I put a 1/2" wood auger bit in for holes to run the MC cable through and wondered how this little, light, cordless tool would be able to handle it. I adjusted the speed change lever to the lowest setting of 1 for the most torque, held on tight, and went for it. It had to work at it, but the drill augered out about 13-14 of those 1/2" holes over the next few hours and is still going strong a year later. The Makita LXT line up covers a large variety of tough tools that are made for the professional. 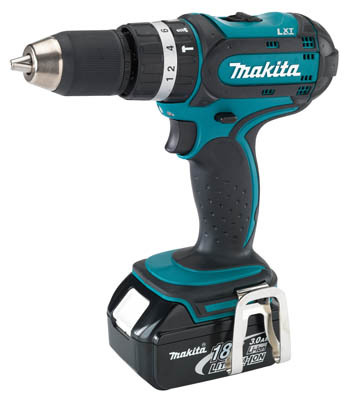 The 1/2" Makita 18v drill (BHP452) in that line is light, tough and has high quality, long lasting li-ion batteries to get the job done. 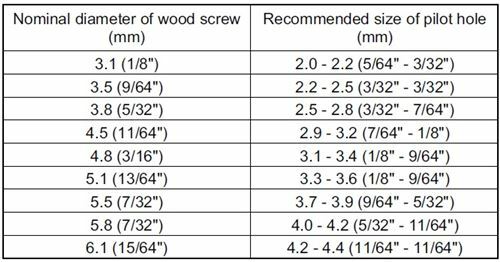 And with the dual speed selection, hammer drill, all metal gears and clutched screw driver options, there is a big variety of jobs that can be done with this must have tool that is worth the money spent. Thank You, Your Likes Sure Help! 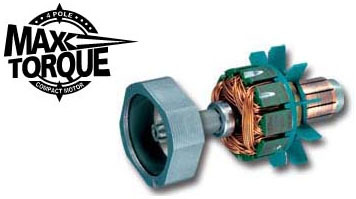 Makita is a registered trademark of the Makita Corporation. Facebook Comments Help! If We Helped You At All, Please click the like button and Leave A Comment Below. Thank You!